Concentrated aromas of spicy berry fruit, wild herbs and oaky molasses are a good start. A lifted palate remains dense but keeps step. Brown-sugar richness infuses spiced plum and berry flavors prior to a spicy finish with some heat. Viña Estampa began in 2001 as the result of the vision and entrepreneurial spirit of Miguel González-Ortiz, the winery’s owner and current president. From the beginning the winery focused on innovation and modern techniques to create world-class wines that would fully express the characteristics of the different varieties and their origin, the Colchagua Valley. 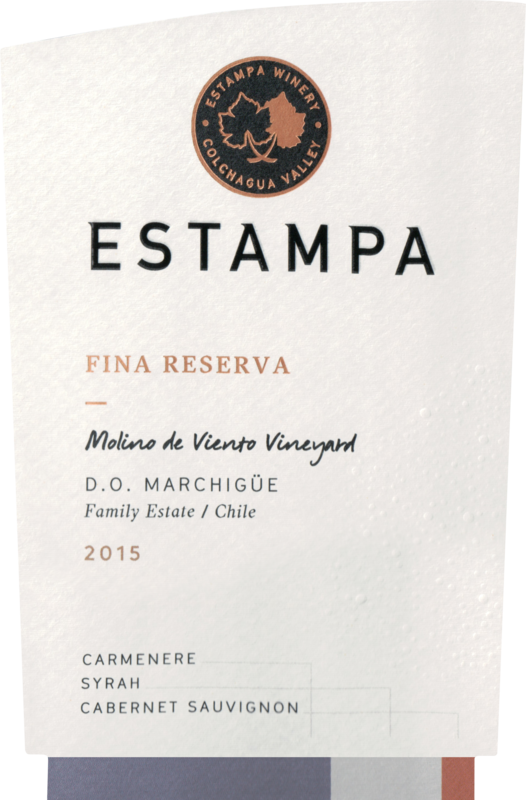 Estampa is the only winery in Chile that specializes in the production of blends, a technique that consists of carefully combining two or more fine varieties, each contributing its best characteristics, to create wines with tremendous balance and unique personality. 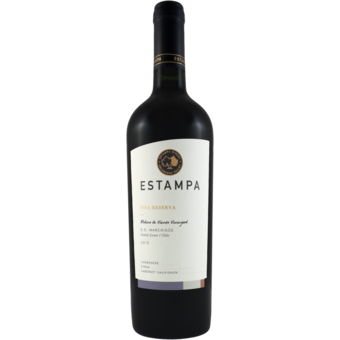 The creative spirit, the technical quality, and a great love of the land enable the creation of exceptional wines that are a true contribution to the Chilean wine industry and make Viña Estampa a world-class winery.